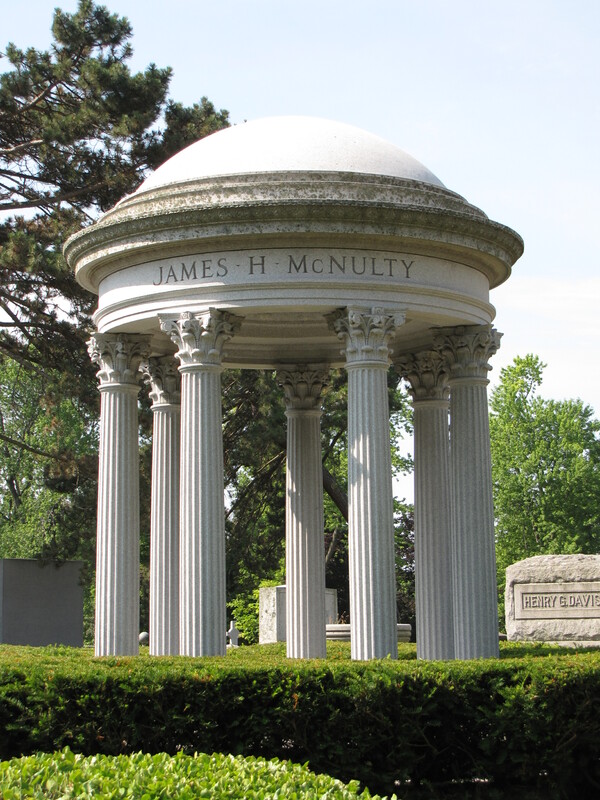 The stately light-gray granite James H. McNulty monument in the Forest Lawn Cemetery at Buffalo, New York, was designed to resemble a similiar monument in France. The monument’s dome is supported by Corinthinian columns forming a circular colonnade or peristyle. The Corinthian order is the most ornate of the Greek architectural styles. The capitals of the columns are elaborately decorated with scrolls and acanthus leaves. The columns are slender and fluted.